I have mixed feelings about this novel. There was so much hype that I think I wanted too much from it and it did not deliver. I haven’t given 3 stars on a review, but that’s the lowest we’ll post on 80 Books Blog. I’m going to try to break down the pros and cons of what Red Queen is all about. 1. Good world building. I was instantly with the reds. 2. Great marketing and publicity to build up this book so much. 1. Color system is reminiscent of Red Rising. 2. Too much hype. We can’t compare everything to Game of Thrones. Especially Young Adult Novels. 3. A lot of tired tropes. The one that especially bothered me was how a raggedy girl is transformed into a “decent” princess. Another is the concept of “The One who can lead the revolution” despite so much evidence to the contrary. Maybe I’ve just seen it so much that it makes me frustrated. I will conclude with this. It’s a good read. It has a solid concept and execution. I was not bothered, like others might have been, by the writing or pacing. I think I need to keep my YA reading to a minimum so I don’t constantly feel like every book is the same. 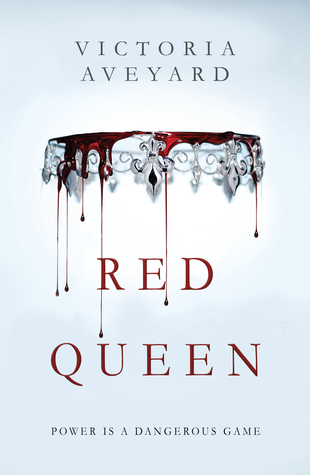 Read Red Queen if you’re a fan of Hunger Games, Queen of the Tearling, and Red Rising. It has plenty of blood spilled and action to keep reader’s interested. Previous Previous post: Game of Thrones S5E5: "Kill the Boy"